Heating With Forced Hot Water in Carl Junction, Missouri? Barone's Heat & Air, LLC has been helping Carl Junction residents heat their homes and offices with forced hot water heating systems since 2009. Our technicians have the knowledge and skills to install, upgrade or maintain your boiler system. Barone's Heat & Air, LLC remains the leading choice for those thinking about heating with hot water in Carl Junction, Missouri. Our qualified experts are familiar with the Carl Junction climate and have experience with the various challenges Missouri homeowners and businesses face when heating their property. 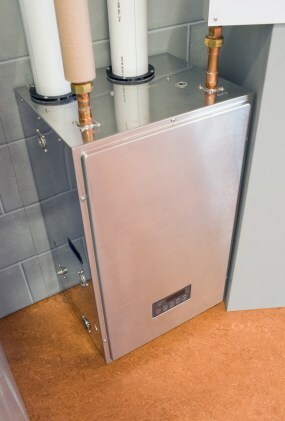 Forced hot water heating systems installed and serviced by Barone's Heat & Air, LLC’s trained technicians deliver dependable, economical warmth to countless Carl Junction residents, whether gas-fired or oil-fired boilers for residential properties or zoned systems for commercial properties. Barone's Heat & Air, LLC provides advice on hot water heating and all other options, helping Carl Junction residents to create sensible heating systems that suit their needs. Boilers need to be properly sized, and the zones, valves, and piping need to be well designed and properly installed for optimum efficiency. Trust the advice of Barone's Heat & Air, LLC to ensure an efficient, reliable hot water heating system. Our Carl Junction customers rely on prompt, dedicated service for inspections or repairs to Carl Junction, Missouri hot water heating systems. Barone's Heat & Air, LLC works with builders, renovators, general contractors, property managers and homeowners on all types of projects, always striving to keep on schedule and provide clear communication. Barone's Heat & Air, LLC has the experience, advice and service that customers need when considering heating with forced hot water in Carl Junction, Missouri. Call our office at (417) 232-0017 for an estimate.